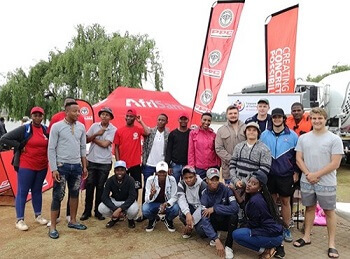 Characterised by thundershowers and heavy rain, Float your Boat, the annual Concrete Boat Race hosted by the Inland Branch Concrete Society of Southern Africa at the East Rand Speed Boat Club, was no plain sailing for the participants. For the first time in ten years, the Tshwane University of Technology (TUT) participated in the race and, against all odds, Dobbertjie, the final-year Civil Engineering students’ cement craft sailed in at second position in the student category. The team from Tuks in Monster Monster took first position and University of Johannesburg’s Vikings came in third. Due to the extreme weather, the students could only participate in the first leg of the challenge. They were finally judged only on this and the construction of their boats. Prof Jacques Snyman, Head of the Department of Civil Engineering, said that despite their lack of experience, the team did exceptionally well in the competition. Coinciding with Cancer Awareness month, the event did well in bringing students and industry together. This year the design theme of the craft was set as a C1 type canoe. It had to be constructed in such a way that one person could propel it with a paddle. Students from UJ, Tukkies and TUT constructed the 46 concrete boats according to the rules for design, dimensions, weigh and materials. The rules stipulated that no more than two team members were allowed to lift the craft; no buckles or attachments of any nature were allowed that could attach individuals to the boat were allowed; the deck had to be open, to ensure the occupant’s legs could not be trapped in the case of capsize or sinking; and participants could use synthetic materials to provide flotation but could not add to the structural integrity of the craft. Some of the canoes’ designs were perfect examples of sleek craft, which clearly would sit well in the water and glide along at some speed. Others however, were more ‘architectural’ in nature and quite attractive, but susceptible to taking on water and sinking. “Two race finals could not take place due to the thunder and lightning, which eventually halted the proceedings. I am certain our team would have won if all the legs of the challenge could have taken place. 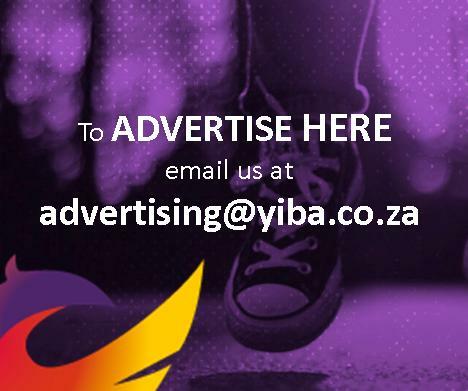 Taking in consideration that our team members were beginners, they exceeded all expectations,” Prof Snyman said. Tsholofelo Tladi and Alison Gopaul, both lecturers in the Department, supervised the students from the start of building the concrete boat through to competition day. They commended the students for their determination, adding that they were only allowed to supervise but could not contribute any physical help.